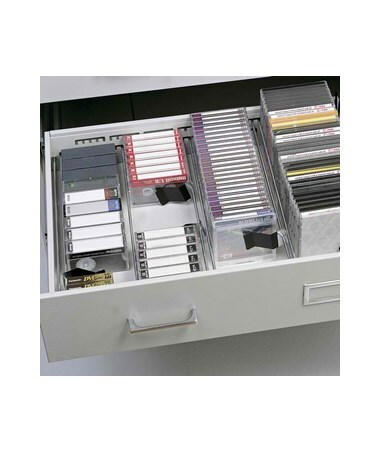 The Safco Audio/Video Microform Cabinet is a storage unit that has four drawers to cater to any media organization needs and features wrap around corners and sturdy inner frame. 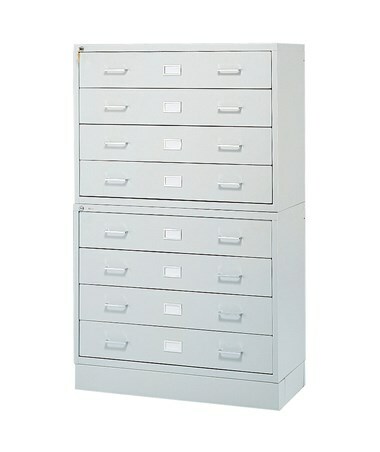 Each drawer is six inches high and quietly operates with high-quality drawer glides with full drawer extension. Each also has front-to-back steel rod dividers that adjust in 0.5-inch increments, chrome handles, and label holders. 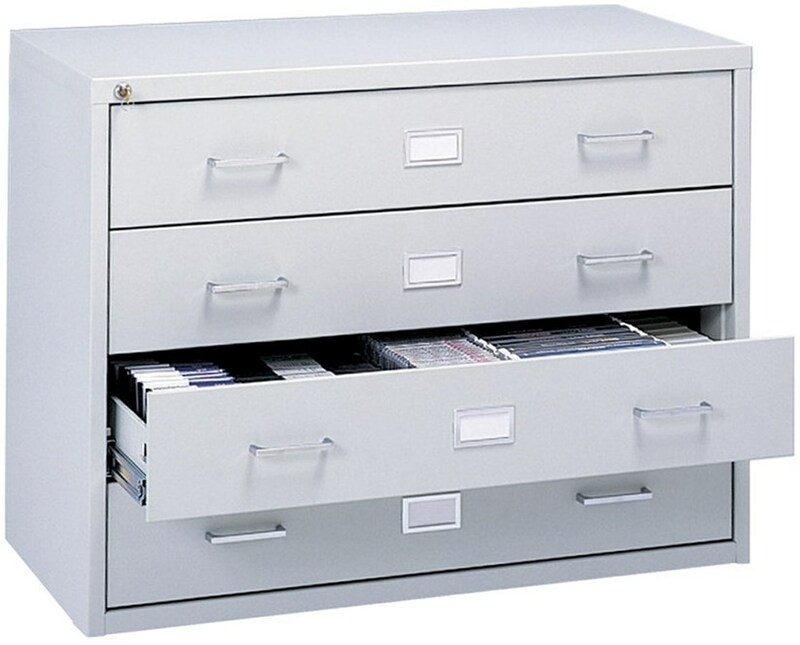 A single centralized locking system allows the drawers to be secured with only one lock. This Safco media cabinet can be stacked up to units high for a larger storage capacity. It is made of heavy-gauge steel with baked enamel and is safe for indoor use as certified by GREENGUARD. 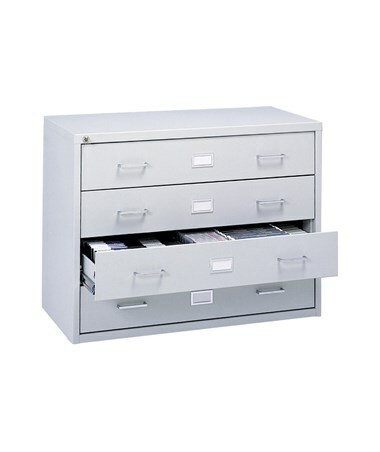 An optional base is also available that is perfectly compatible with this cabinet.